Adults have always wanted to give martial arts a try. 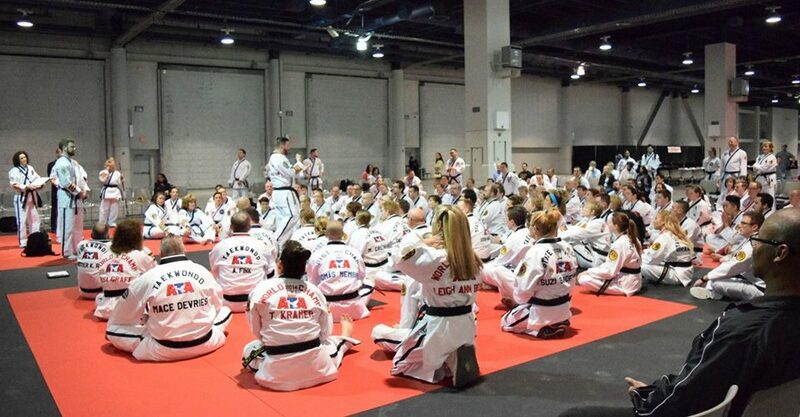 Goal Setting, Self Confidence, Focus, Energy, and Leadership are just a few of the rewards of training at ATA Martial Arts. Come and see how you can improve yourself mentally and physically! Taekwondo is the classic Korean martial art. Known for its diverse striking, strong character, and enjoyment for all ages, Taekwondo is a fantastic system of training. Taekwondo literally means the way of the hand and the foot, and teaches forms, sparring, board breaking, weapons, and self defense. Our school teaches traditional Songahm Taekwondo and has a strong focus on fundamentals, technical, sparring, breaking, and personal safety. You dont have to be an athlete to begin, everyone starts at thier own level. You will be amazed at the transformation in just a short time, and will learn how to change your life with long term goals. Krav Maga is the no frills Martial Art system developed in Israel. With a philosophy of defense through offense Krav Maga training will give you the knowledge you need to defend yourself.